Logo mark studies are always intriguing, and the work for the Village Gift Barn was especially so. After many concepts were explored, the simple rendering of a bird conveyed the right feel and became the visual cornerstone of the identity. 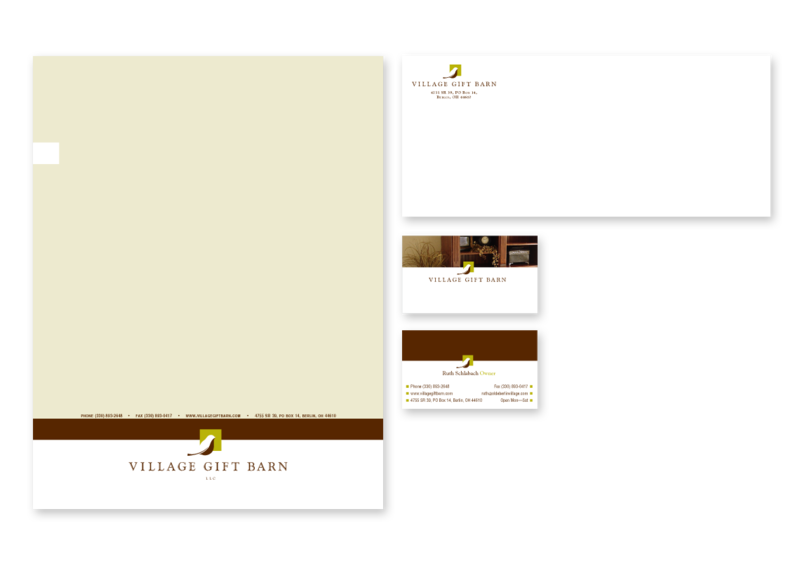 The Village Gift Barn’s stationery allows additional visual branding to come to life. 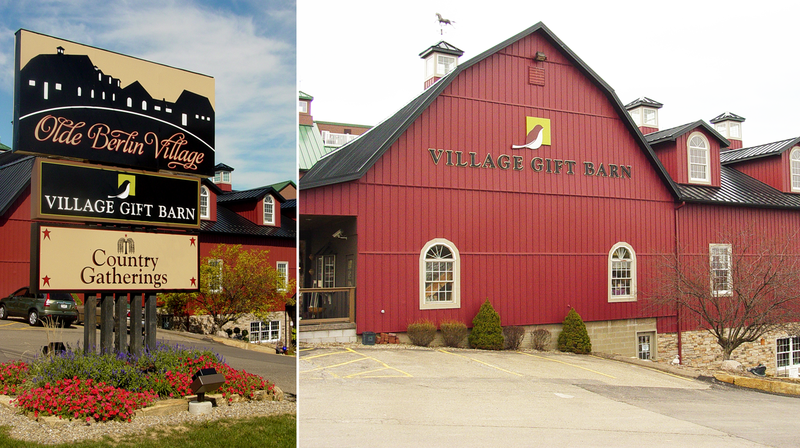 A trip to Berlin, Ohio would not be complete without a stop at the Village Gift Barn. The location and way-finding signs bring tourists in off the highway and helps them find their way around the small shopping plaza easily.